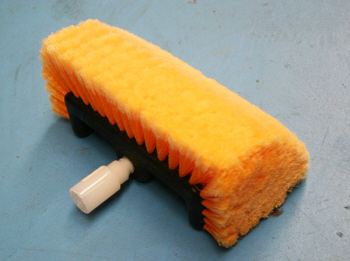 Water Fed Brush Head comes with thick 4 sided fill. American 3/8 ACME Thread is standard, however you can purchase the white adaptor pictured, which turns this into a Euro thread. 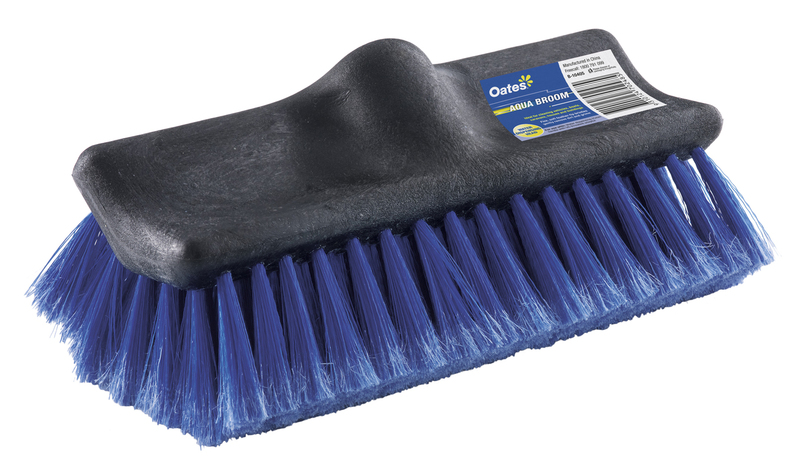 Oates Professional Truck and Caravan Brush Wash is ideal for cleaning vehicles, boats, caravans, houses and buildings. It has fine, soft, finely flagged bristles gently remove dirt and grime. It has water dispensing head. It has durable aluminium handle with non-slip comfort grip extends to 2.3m. On/off value for easy water control. 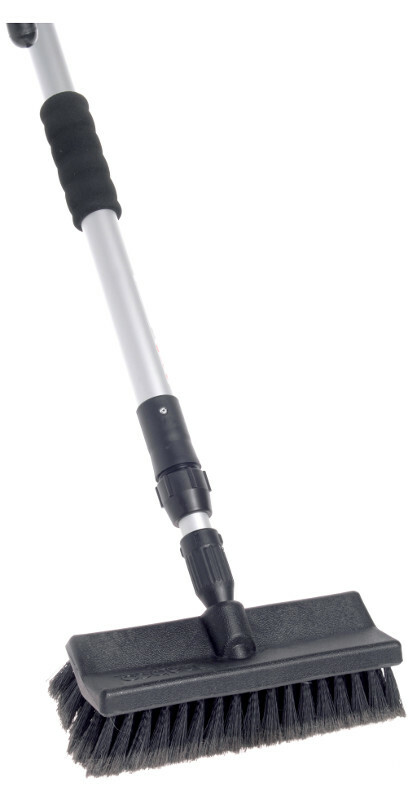 Features a unique telescopic water flow handle that extends to 2.3m in length. 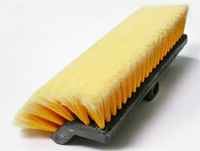 Super soft flagged bristles for scratch free cleaning. Comes complete with a snap on hose connector. Fits all standard gardens/hose fittings. With Swivel Fitting. Non Waterfed. Adapt to extension handles or the like. Used in a variety of situations. approx 40cm wide. 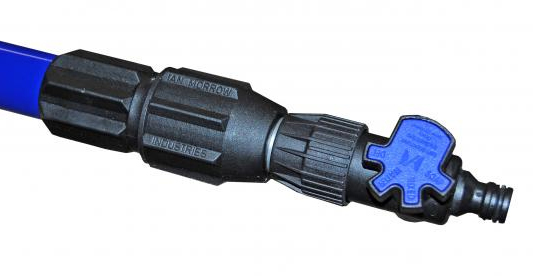 To use in Heavy Duty Waterfed Poles. Convert your standard extension pole to a Water Fed Pole! Vikan soft flocked brush with 2 pencil jets. Angel adapter that will thread on universal acme thread, Ettore, twist lok, Unger and Pulex. 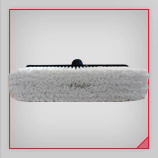 Heavy duty wash brush head with non-scratching bristles. 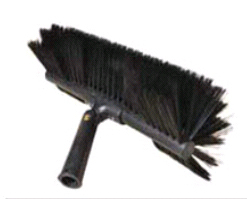 10 inch bi-level wash brush head. Use as flow through or dip brush. Great for car collectors and professional detailers. Suitable for most wash poles. Excellent for trucks, trailers, caravans, etc. 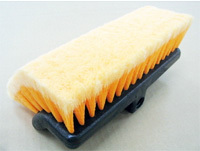 Heavy duty wash brush head with non-scratching bristles. 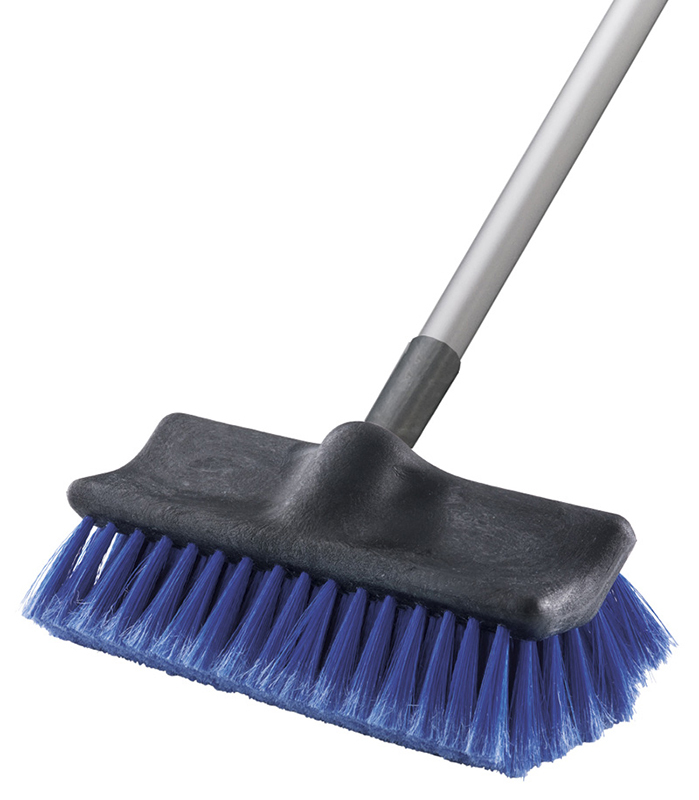 13 inch bi-level wash brush head. Use as flow through or dip brush. 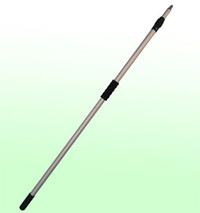 Lightweight wash pole with a steady and continuous flow water. Available 2.5 and 3.2 metres. 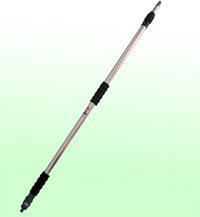 Heavy light weight strong aluminium truck and car wash poles.